If you're looking for House Cleaning in Houston TX or a Houston TX Maid Service that works mornings, days, evenings, Saturdays and Sundays, you found it. Trusted since 1994, we have over 22 years experience in Houston house cleaning, Houston housekeeping, house cleaning Houston maid services and always putting our customers first. 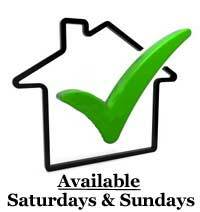 Plus we are locally owned and operated to serve you better. Our Houston TX housekeeping specialists at Houston House Cleaning and Apartment Service are dedicated to providing you the best in personalized house cleaning Houston maid services. At Houston House Cleaning and Apartment Service we work with you to tailor our cleaning services to meet your needs and budget. Houston House Cleaning and Apartment Service is 100% committed to your complete satisfaction. Whether your house is barely over 1,000 square feet or up to 2,000 square feet, we strive to provide you the best house cleaning in Houston TX and Houston maid services, each and every time. 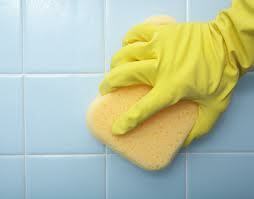 There are many franchise Houston TX house cleaning and housekeeping maid services out there today. But, our extensive background in every aspect of Houston house cleaning and customer care set us apart from the rest. Our promise to you is to provide you with a truly clean house for you and your family to enjoy. Our top priority is to provide a housekeeping maid service clean that makes your Houston home shine. For a full description of our move-out cleaning package please click here. 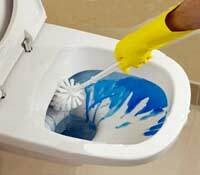 For a full description of our deep cleaning package please click here. At Houston House Cleaning and Apartment Service, we appreciate how valuable your time is. We know that there is never enough free time to do what you enjoy. And, probably the last thing you want to do is housekeeping and house cleaning. It's ok. There are many more important things to do. All our customers have compared our Houston house cleaning services with other Houston housekeeping maid companies. And they all agree. You can leave the home cleaning work to us. We provide affordable, top rated customer service and look forward to serving all your Houston house cleaning housekeeping maid service needs. Our Saturday and Sunday home cleaning appointments are very popular so please call us today to make sure we can schedule your for the date and time that is most convenient for you. FOR FASTEST RESPONSE, PLEASE TEXT us night or day at (281) 866-5328 to discuss your specific home cleaning needs and for a free home cleaning estimate. In your message please include: Type of service (moving or deep cleaning), square footage, number of bedrooms, bathrooms and area of Houston or zip code. Please contact Houston House Cleaning and Apartment Service for a list of our Houston House cleaning references, a free quote and more. 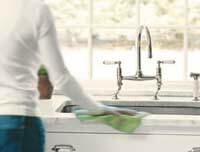 Houston House Cleaning and Apartment Service / Houston Housekeeping and Maid Services. Call for a Free Estimate 281-866-5328.